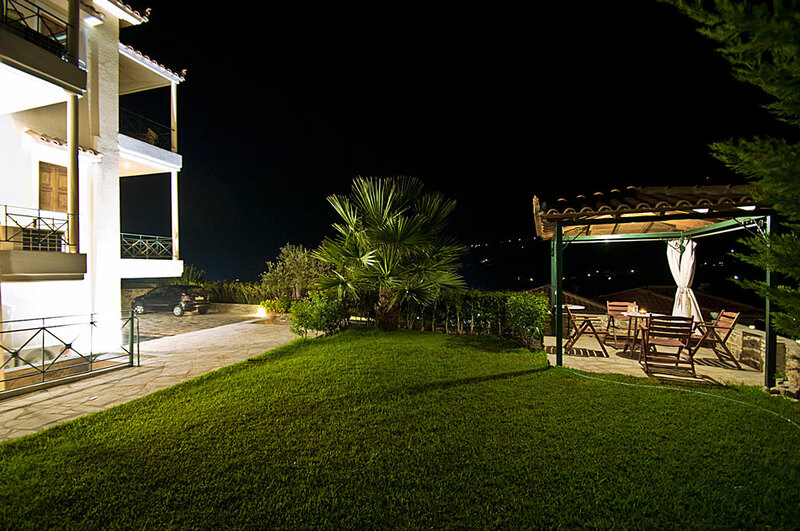 In Stafilos, in a lush hillside of pine trees and olive trees, was built in 2002, Villa LYKASTI with all amenities. It offers breathtaking views from any side of Villa though no one lives. 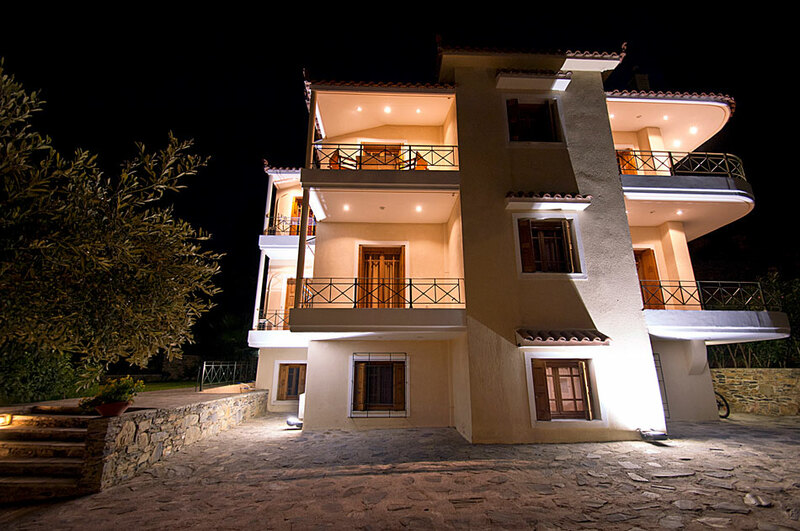 It is only 2 km from Skopelos town and 2 km from the beach of the grape. In an ideal, having 200 meters beside the main road of the island, LYKASTI offered even for walking or jogging trails within the green. Stafylos is one of the most popular beaches. In the region of the homonymous bay is also one of the most important archaeological sites of Skopelos. The bay Stafilos is 4 km from the town. It is a favorite of local beaches, which in recent years has become a cosmopolitan beach that attracts visitors to the island. The beach with its magnificent golden sandy beach ideal for swimming and water sports and games. Characteristic is that they never caught the breeze. Lee with crystal blue waters, enclosed in the arms of pine cove is the embodiment of summer dream. 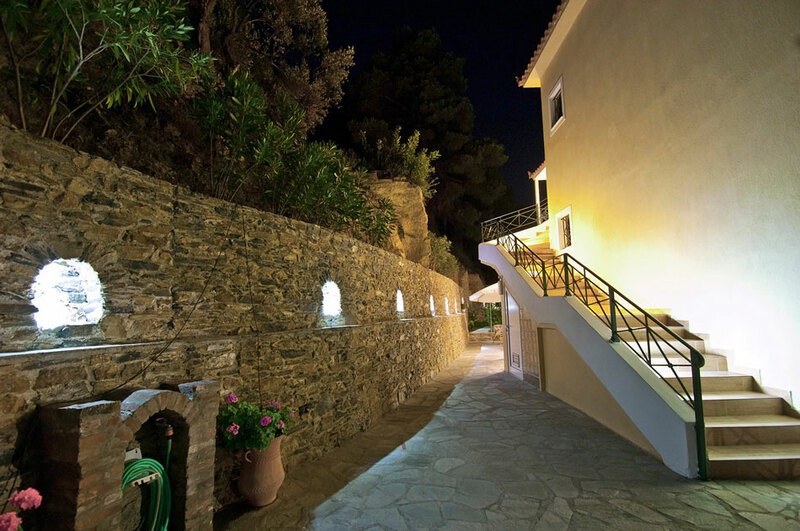 Visit our facilities and enjoy your stay in the magical island of Skopelos. Just a few kilometers from the town of Studio in a location that allows guests to escape to the sights of the island, Skopelos Town, Grapes, Agnondas, Elios, Ag. John, Language and slippery. Consult our staff can recommend attractions, beaches and tavernas with fresh fish and local traditional food. Welcome to Villa Likasti !! The island of Skopelos is an island of Northern Sporades. It is the second island in the series after the island of Skiathos. Is approximately 96 sq. km. km, 67 km perimeter. (surface area approximately 210 square kilometers and a circumference of about 60 miles) and a population of 3,500 inhabitants. "Skopelos: the island of the legends"..
Population 3,500 inhabitants-Area 96 sq. km. The charm of Skopelos captures the visitor from the first surveying before we go ashore.